Many people experience neck pain occasionally. In most cases, their neck pain or stiffness is due to poor posture, overuse, injury from a fall or contact sports. Normally, neck pain isn’t a serious condition and most people find relief in a few days. 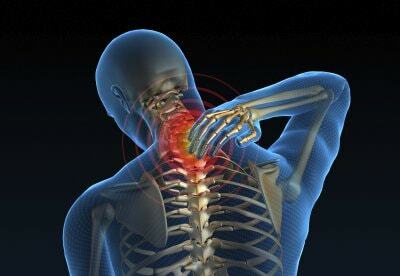 However, in some cases, neck pain can indicate serious injury or illness and require medical care. When neck pain continues for more than a week, is severe, or is accompanied by other symptoms, immediate medical attention is recommended. You need to seek treatment when the neck pain may result from abnormalities in the soft tissues (muscles, ligaments, or nerves) or in the vertebrae or joints of the cervical spine. The most common causes of neck pain are degenerative diseases (such as arthritis) or soft tissue abnormalities following injury. In some individuals, neck problems may cause pain felt in the upper back, shoulders, or arms. Find out about the possible neck pain treatments and solutions! Feel free to contact us toll free at 1-888-409-8006 to speak with one of our representatives, or simply fill out the Appointment Request form. You don’t have to live with Neck Pain. We have offices and doctors throughout South Florida.